Freelance writer, science student and incurable smart aleck. There are not many things a bar needs to satisfy this punter. Cheap drinks and friendly staff are high on most peoples list of requirements, and Kelly's Bar and Restaurant in Olinda has that in spades. 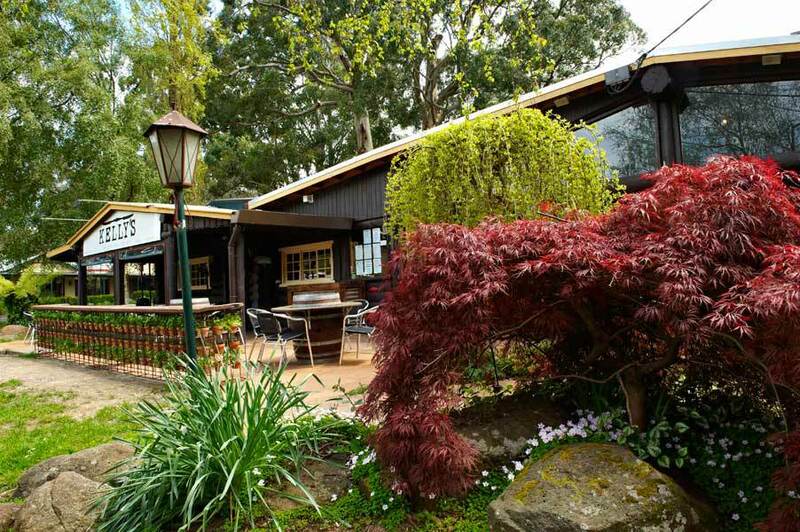 Located amongst the picturesque hills of Olinda (a favourite with the B&B and Sunday drivers crowd) this little Heritage listed log cabin bar looks like a cross between somebodies weekend getaway and a tavern fresh out of Lord of The Rings. It's also worth mentioning that if you pop in on Thursday nights you can enjoy a selection of native Australian game meats and a trivia night. The bar itself features a nice selection of Australian craft beers (and the obligatory Carlton Draught) and cider on tap. There is also a good selection of cocktails and mixers available too. The best bit, however are the friendly locals. I struck up a conversation with a random young lady to find out she works there during the week! I think it speaks volumes that the bar-staff choose to drink/eat there even on their nights off. So in summation, if you're headed up Olinda way, drop into Kelly's for a sneaky beer (or twelve) grab a seat by the fire on the comfy couches and enjoy some of the live local music and relaxed atmosphere this little bar has to offer.